Request a quote on the Quick Exhaust Valve you need, or contact us to learn more. To meet the unique plumbing needs of your application, Pneumadyne manufactures a wide variety of QEV valves with threaded or push-to-connect ports. Depending on the selected configuration, our durable quick dump valves can relieve 100 in3 of air in as little as one second. Pneumadyne offers Quick Exhaust Valves in numerous configurations and with a range of port sizes and capacities. If you’re not sure which QEV valve model is right for your pneumatic system, don’t hesitate to contact us. Our expert team will review your system’s specifications and help you determine which quick dump valve best meets your needs. 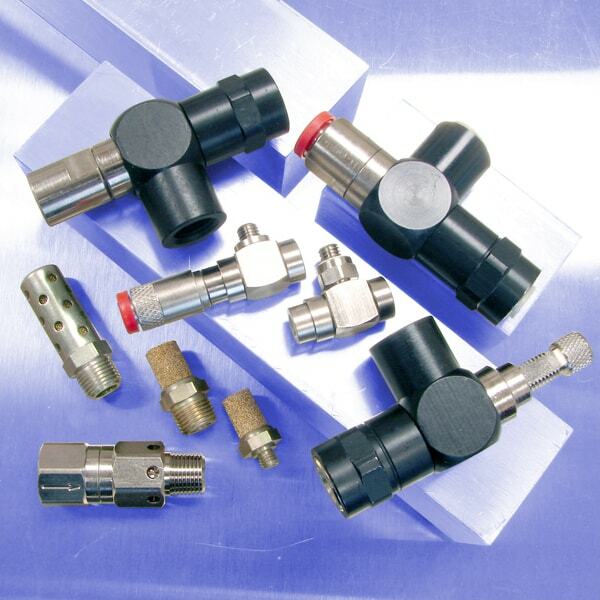 Pneumadyne manufactures a standard offering of miniature pneumatic valves. We can also assist you with design and engineering of custom pneumatic components or full pneumatic control systems. Request a quote on air exhaust valves or other components for your pneumatic system, or contact Pneumadyne to learn more.